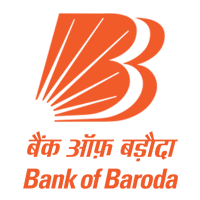 Bank of Baroda SO Application Form 2017, Apply Online! Candidates, in order to apply online for Bank of Baroda Specialist Officer Exam, need to fulfil the undermentioned eligibility criteria. The date on which the educational eligibility criteria and age eligibility criteria must be fulfilled is 05.12.2017. Minimum - 35 yrs, Maximum - 50 Yrs. Min - 30 Yrs ,Max. - 45 Yrs. Min - 25 Yrs, Max. - 37 Yrs. Min - 25 Yrs ,Max. - 35 Yrs. Min - 25 Yrs, Max. - 35 Yrs. Min - 25 Yrs ,Max. - 37 Yrs. Min - 25 Yrs ,Max. – 35 Yrs. Min. – 21 Yrs, Max. – 30 Yrs. We will update the educational Eligibility criteria for the posts in BOB SO recruitment 2017 shortly.